The placenta is a magical organ that develops from the same sperm and egg cells that form your baby. It contains your own natural hormones and is perfectly made for you, by you. Experts agree that the placenta retains hormones. Reintroducing them to your system after birth is believed to ease postpartum and menopausal hormonal fluctuations. 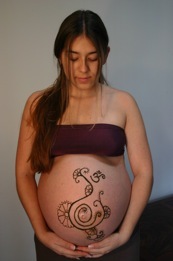 There are many ways to prepare your placenta for ingestion. There are various recipes available for smoothies, and some women simply eat it raw. The only issue with these methods is that you have a very small window of time to reap the benefits and also there aren’t usually many women who are excited about eating their placenta raw. 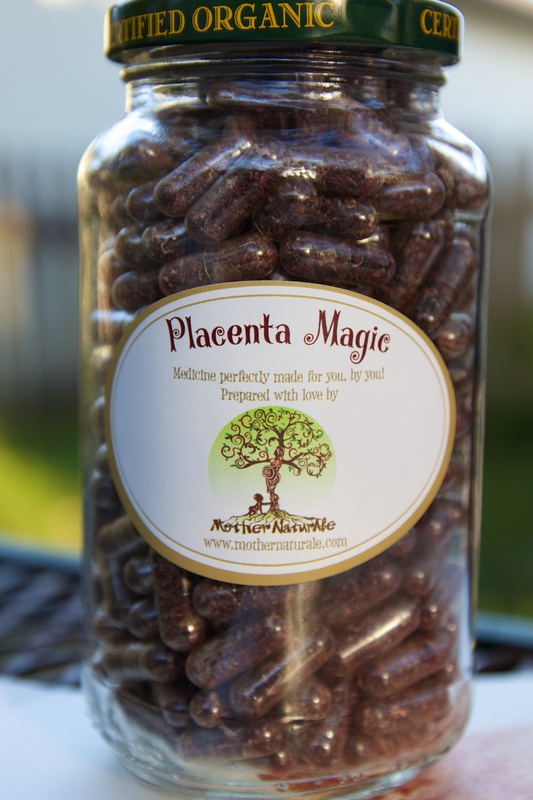 In order to get the full benefits, the best way to ingest the placenta is to encapsulate it. 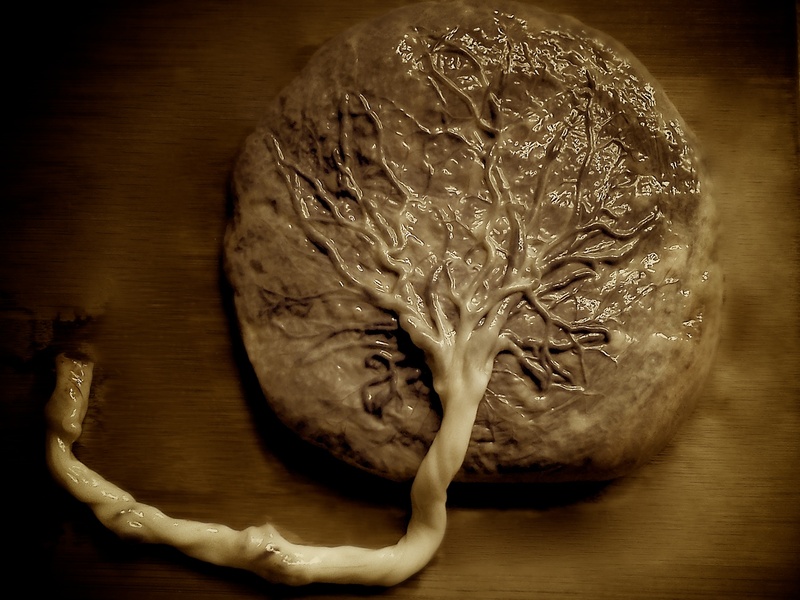 The placenta can be dried, ground, and encapsulated. The capsules can then be taken daily for a number of weeks. This method allows you to enjoy the healthful benefits of placenta quickly, with the utmost discretion and with very little effort, and the capsules will last indefinitely (for years). You only get one placenta, encapsulation allows you to get the most out of this rare and precious gift. When the placenta is dried, ground and encapsulated, and when properly stored, the capsules can be used for weeks. When you have recovered from childbirth, you can even freeze the leftover capsules and save them for menopause. 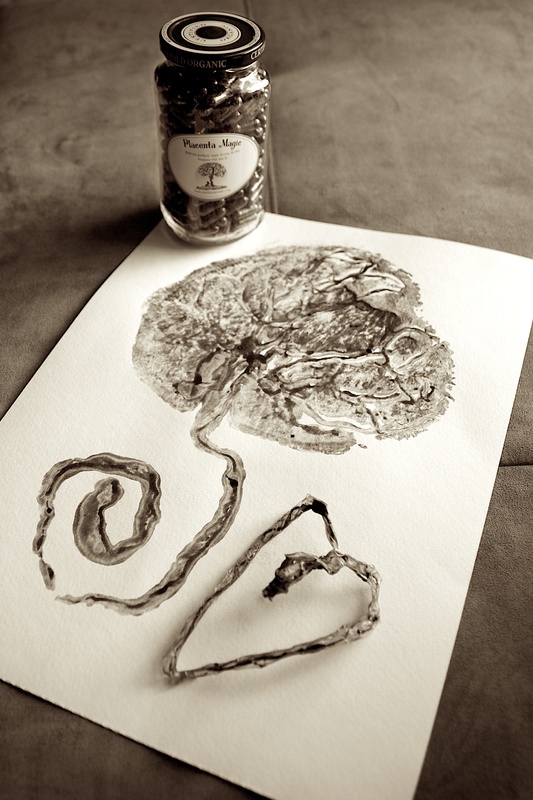 I treat the placenta as sacred, and focus on honoring the work it has done to nourish your baby, while preparing it to continue its work nourishing you. Ideally, the placenta is encapsulated within 48 hours after the birth. While you bond with your new baby, I will come to you to the place of birth and take care of your placenta. I am basically “on call” for you and will make every effort to come to you within the 48-hour time frame to begin the encapsulation process. Encapsulation is a two day process and there are two choices when it comes to preparation (Raw or TCM). During the first day, I spend a few hours preparing the placenta using whichever method you choose, then leave the placenta drying for several hours in the dehydrator. On the second day, I complete the encapsulation process by grounding the dried placenta and encapsulating the powder. This part can take 2-4 hours. Once the process is complete, I will deliver your capsules to you so you can begin taking the capsules right away for maximum postpartum benefits. Along with the capsules, I include dosage instructions and a cord keepsake (dried cord shaped into a heart or spiral). 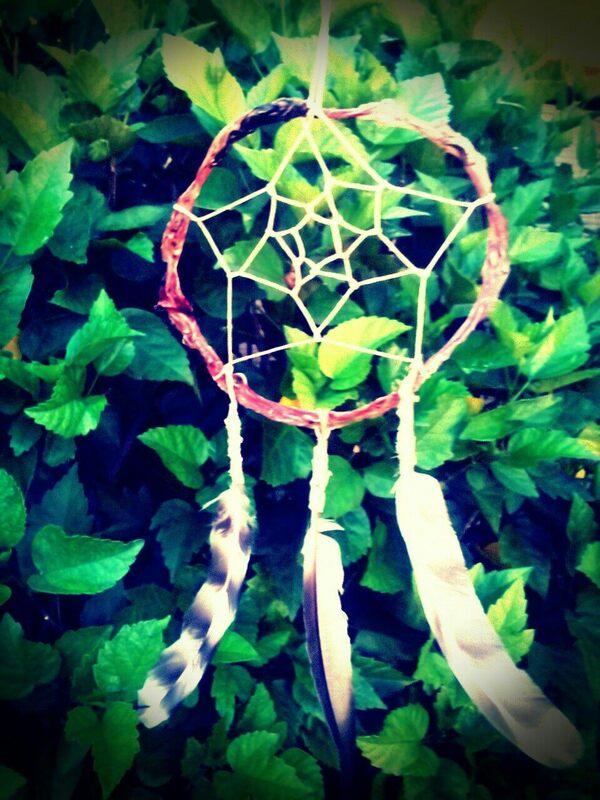 You may also choose to have your cord keepsake be shaped into a dreamcatcher or order a Placenta Print for an extra fee (see below). Raw method consist of preparing the placenta without heating it or adding any herbs. The placenta is cleaned and prepared for the drying phase, sliced, dehydrated at 118 degrees for several hours in the dehydrator, and then ground into a powder for encapsulation. Raw food method believes that steaming the placenta destroys some of the essential nutrients. Using this method provides a burst of energy upfront and great hormone stabilization it also provides a stronger medicine so the daily dosage is often less than TCM. TCM Traditional Chinese Medicine method of preparation involves cleaning the placenta, gently heating it with steam (warming herbs such as ginger, cayenne and lemon can be added during this process), slicing, dehydrating it at 160 degrees for several hours in the dehydrator, and then grounding into a powder for encapsulation. It is believed that right after birth, the mother’s body is left in a cold state and using this method of preparation, reintroduces heat into the mother’s body helping heal and tonify the uterus. *Women who give birth at home have the luxury of being in complete control over the care and handling of their baby’s placenta. A woman who births in a hospital has to adhere to the guidelines and policies in place at their facility of choice. In some cases, there is no written policy, and mothers are then subjected to the whim of the staff on duty at the time they deliver. If you want to take your placenta home after its birth, you must have a plan before you walk through the doors in labor. Your chance of success will increase greatly. Discuss with your doctor your plans to encapsulate and maybe even assign a family member to be in charge of storing the placenta. If you are birthing at home or at a Birth Center, you will need to refrigerate your placenta in double ziplock bags by 3 hours postpartum. If you are birthing at the hospital, you will need to place placenta in double ziplock bags as soon as possible after birth and keep it iced in a styrofoam cooler. Usually nurses will provide you a little ice bucket to keep it in but I suggest bringing your own tupperware type container to make sure you have something to put it in as well as a styrofoam cooler to ice it. You will need something as big as an ice cream tub container. Once your placenta has been bagged and refrigerated (or iced if you’re at the hospital), you will need to contact me shortly so I can start the process as quick as possible and you can start taking your placenta medicine soon after giving birth. Placentas that have been properly frozen (double-bagged and protected from freezer-burn) can also be encapsulated up to 6 months after the birth. The average placenta provides anywhere from 150-350 pills. The number of pills available will vary depending on the size of your placenta. * A $20 traveling fee applies if location is more that 30 min from zip code 32825 on google maps.